Pest Solutions, with branches throughout the UK, have an expert Graduate Pest Control Field Biologist team ready to help you boost your pest protection today. While we aim to give all of our customers an outstanding quality of service, Pest Solutions likes to go the extra mile with our Pest Control Plus package. To ensure that we catch every last trace of pests, and leave your property fully protected from future infestations, we offer a full audit from a professional field biologist. These field biologists are qualified to perform highly detailed inspections which deliver the best possible results. Not only does this ensure that our technicians can cover every aspect of pest control, but it also covers a number of other vital areas. From building fabric integrity and hygiene procedures to product and ingredients storage, these audits are ideal for anyone wanting to keep pests at bay for good. A full, professional audit is vital for any company working in the food manufacturing industry. 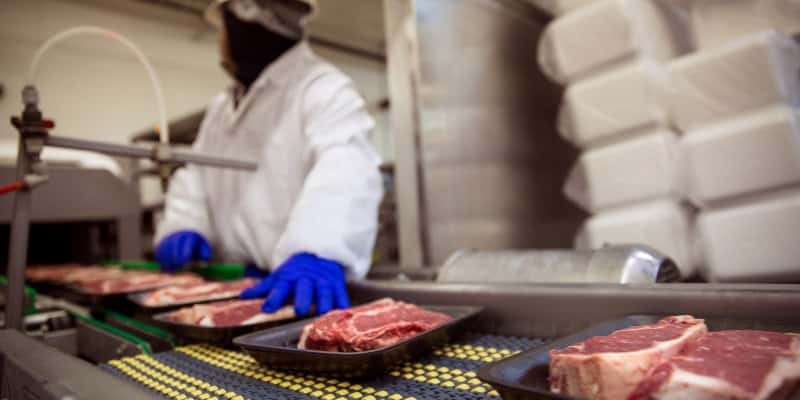 Not only do leading supermarkets have very strict requirements for their suppliers, but even standard audits only really focus on immediate pest control issues. On the other hand, a field biologist will look beyond this, and examine ways in which your company can cut down on the risk of an infestation. By looking at your manufacturing processes and the machinery used, we can identify key areas for improvement and come up with a plan of action to deliver real improvement. For instance, we helped one client who operates a bakery to reduce the amount of flour used to dust their products, and thereby reduce the risk of moths in their premises. Steps like these are easy to implement, but make a real difference in practice- and our field biologists are fully equipped to help you make a change for the better, too. As well as vital preliminary and planning work, our field biologists also carry out in-depth quality control of our service activities. This ensures that our Pest Control Plus customers receive a consistently high-quality service and can rest assured that they are always audit-compliant. There are a number of ways that our field biologists complement the services of our core team. As well as supporting and training our service technicians, they also carry out insect identification to get to the root of pest problems and educate and train our customers on how they can better spot the early signs of an infestation. Thanks to this training, your staff will be able to detect any pests much sooner than they would otherwise, meaning the pest problem can be nipped in the bud before it has a serious impact on your business operations. By educating your staff on hygiene and housekeeping, too, you can dramatically cut down on the risk of infestation in the future- so our training courses are the obvious choice for those who care about their business. Our pest control field biologist team also work closely with our in-house technical department. That means they can assist customers in any technical capacity. While extremely rare, there are cases where products may become contaminated and therefore not work as they should. What’s more, over time pests may become resistant to insecticides and rodenticides, which means an alternative solution will be required. By detecting these instances, our field biologists can ensure we always deliver the high-quality service that our customers have come to expect from Pest Solutions. Call Pest Solutions Today to Keep Pests at Bay! Whether you have an existing pest problem that needs to be dealt with, or just want some extra peace of mind about your premises, a field biologist audit from Pest Solutions is the ideal choice. Our highly experienced team of trained professionals know pest control inside and out and can quickly spot warning signs that many other technicians might miss. Pest control field biologist audits are essential in the food manufacturing industry, where health and hygiene issues are of vital importance. By taking steps to prevent any infestations in the future, you’ll be able to dramatically decrease the risk of having to halt operations while pest problems are dealt with. To find out more about our field biologist audit service, or to arrange an audit for your business, please don’t hesitate to get in touch. Call Pest Solutions on 0800 027 2555 today to set up your FREE survey and see for yourself the level of professionalism we bring to every job. Alternatively, click here to find the details of your local Pest Solutions branch.